Reston Hospital Center is planning another major facility expansion for the medical center, which turns 30 years old this year. HCA Virginia’s Reston Hospital Center recently completed a large addition and helicopter landing pad at its medical office building. 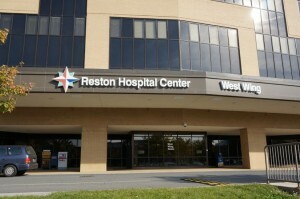 The Emergency Department also went through a major renovation, including the addition of five beds to Reston Hospital’s pediatric ER; as well as adding four additional operating rooms; 15 preoperative rooms; and 19 recovery rooms to the surgical services department. The hospital’s latest plans include a state-of-the-art Intensive Care Unit, additional patient rooms, as well as an expansion and renovation of its Women’s and Children Services, including its Level III NICU, the hospital announced late last week. In addition to expanding patient care areas, the hospital’s plans include refurbishments to the lobbies, cafeteria, and other patient support areas located on the main level of the hospital. The addition of a new visitor corridor and a second parking garage are also included in the plans. Work is expected to begin in late 2016.